North Korea says the missile launch it carried out Tuesday was meant as a “prelude” to military operations against the U.S. territory of Guam. 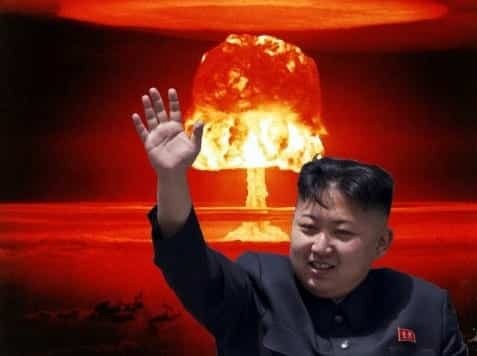 Shortly after the United Nations Security Council held an emergency meeting over the latest missile launch, Pyongyang’s state media Wednesday described the launch as “the first step of the military operation of the [North Korean military] in the Pacific and a meaningful prelude to containing Guam,” CNN reports. The report went on to warn that Pyongyang will be “conducting more ballistic rocket launching drills with the Pacific as a target in the future.” North Korean leader Kim Jong Un was said to have personally overseen Tuesday’s launch, which set off sirens in northern Japan as a missile flew over the country. The U.N. Security Council unanimously condemned the country’s “outrageous” missile launch Tuesday but stopped short of imposing any new sanctions on Pyongyang. This entry was posted on August 30th 2017 at 12:10pm/12:10 and is filed under Elections, Live News Column 1, Politics, World News. You can follow any responses to this entry through the RSS 2.0 feed.